A long-distance ride-sharing app, a temporary prosthetic hand, virtual reality for brain research — the list of inventive projects and unanticipated research that pours out of Texas Engineering students goes on and on. 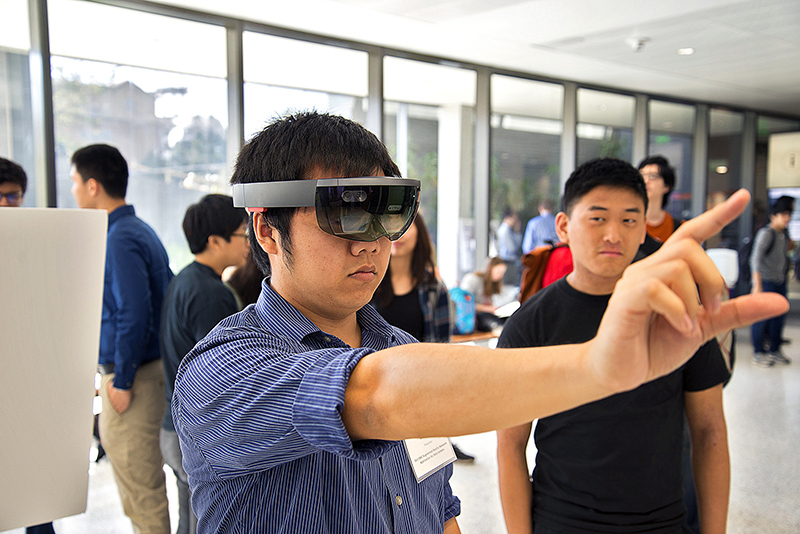 In every engineering major and across all groups and programs, Cockrell School students have ample opportunities to take what they've learned in the classroom and apply it to real-world problems put forth through a variety of avenues. In addition to end-of-semester projects, many Texas Engineering students complete Capstone Design Projects — projects for which students are given open-ended problems submitted by industry partners. Working in small teams, students apply engineering design methodology, analytical thinking and creative problem-solving to design a solution to the submitted problem. Every year, Cockrell School and UT Austin students compete in everything from solar car races and concrete canoe challenges to international idea-pitching competitions and hackathons focused on community needs. There are ample opportunities to work with your peers in engineering and across campus put your ideas, designs and projects up against others in friendly competitions that teach students to work under time and resource constraints. Inside this 23,000-square-foot invention and creation space, students learn how to tangibly bring their ideas to life. Open to all students, the National Instruments Student Project Center inside the Engineering Education and Research Center gives students the opportunity to design and build everything from biomedical devices to satellites.